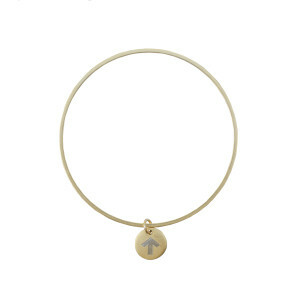 Want to add custom engraving to your bracelet? Click Here! 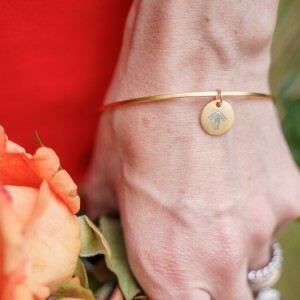 Heroic Strength Bangle – 24k yellow gold plated antiqued mini disc imprinted with arrow on the front and comes on a bangle (approximately 70 mm in width).